What an honor to have another cookbook author gracing the cover of Rasa Malaysia…introducing Pat Tanumihardja of “The Asian Grandmother’s Cookbook“—a gorgeous and beautifully written cookbook released in Oct 2009 with food photography by Lara Ferroni. A couple of years ago, Pat invited me to share my family’s recipes in her book, especially recipes from my late grandmother who was a Nyonya. While I was overwhelmed by the opportunity, I turned it down on the mere reason that I’d like to “save” the recipes for my future cookbook project, when it comes along. “The Asian Grandmother’s Cookbook” is easily one of my favorite cookbooks this season, so please welcome Pat and check out her Teochew braised duck or Lo Ack/滷鸭 guest post below. When I was growing up in Singapore, my mother would sometimes bring home a whole or half duck—succulent, slick with soy sauce, and very tasty—from the nearby hawker center to supplement our dinner. My siblings and I would dig in heartily, devouring every part of the bird. And we, a family of dark meat lovers, always came away with satisfied grins on our faces, as unlike with a whole chicken, no one had to contend with white meat. Even though mum is a fabulous cook, I remember wishing that she would be too busy to cook more often. Since moving to the U.S., I had long stored these memories away. Not because I don’t like duck anymore but here in the U.S., things are just different. There is no uncle at the hawker stall just around the corner to proffer his best bird, nor does it cost only $5 for a whole cooked duck. You’d be hard pressed to even find a single duck breast for that amount of money! I do enjoy duck when I eat out at restaurants but I’d never cooked duck at home believing its preparation best relegated to French chefs and duck die-hards. This all changed when I was doing research for my cookbook The Asian Grandmother’s Cookbook, Home Cooking from Asian American Kitchens. I happened on a gem of a recipe from my good friend’s mom who is Singaporean. 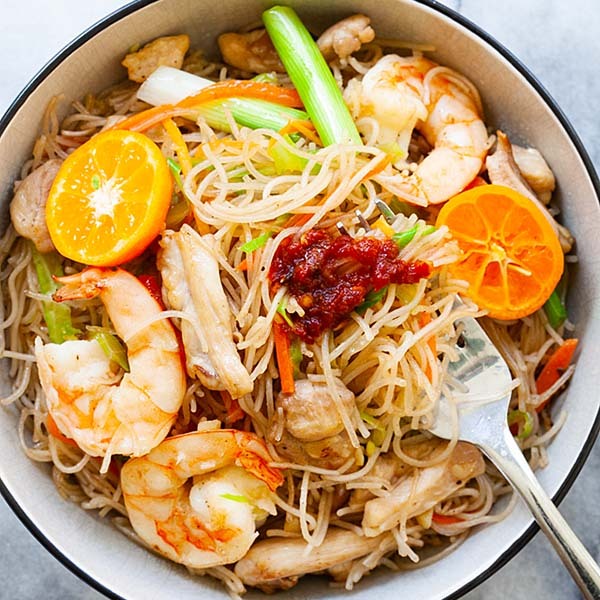 Redolent with Chinese and Southeast Asian flavors, and best of all, oh-so-easy, this recipe was already a winner in my books before I tasted it. And when I tested it in my kitchen, I was head-over-heels in love. While this braised duck recipe doesn’t have the exact DNA of the duck of my childhood memories, it comes close enough. I have long learned that as an immigrant, you have to adapt and shift your expectations whether it pertains to your palate or life in general. With that said, I hope you enjoy it too. Rub 1½ tablespoons of the salt evenly all over the duck, including inside the cavity. In a large wok or Dutch oven (or any vessel large enough to hold the whole duck), mix together the water, soy sauce, lemongrass, galangal, sugar, cloves, star anise, cinnamon, peppercorns, and remaining salt. Bring to a boil. Reduce the heat to medium-low. Gently lower the duck into the wok. The liquid should reach halfway up the duck. Top it off with additional water if necessary. For the first 20 minutes, baste the duck every 5 minutes or so to color it evenly. Cover and simmer for another 40 to 60 minutes, or until the meat is fall-off-the-bone tender, flipping the duck halfway through cooking. If the sauce looks like it’s drying up, add more water, ¼ cup at a time. Total cooking time should be 1 to 1½ hours. To check for doneness, poke the duck in the thigh with a chopstick. If the juices run clear, the duck is cooked. Or, use a meat thermometer to check if the internal temperature has reached 165 degrees F.
Turn off the heat and leave the duck immersed in the sauce for another hour if desired. Cut the duck into serving pieces and arrange on a serving platter. Skim the fat from the surface of the sauce, then drizzle the sauce over the duck. Serve with freshly steamed rice and the dipping sauce. Pound the garlic and chilies in a mortar with a pestle, or whirl in a small food processor, until a coarse paste forms. Add the lime juice and salt to taste and mix well. I have been a fan of yours recently and trying to cook your recipes everyday. Love to have the book on hand. Thanks! Great idea for a book. Would love to add it to my collection. This cook book is precious with many traditional Asian recipes and stunning photos! Would love to win a copy ! Being a Malaysian myself, and residing in US, I can relate to the sentiments of cooking Malaysian/homemade dishes here, across the seas. Looks yummy! Bee! How timely. Did you know that I just made a lor ark using a blogger’s recipe but I wasn’t satisfied with it. The ingredients are almost the same and the cooking method is almost the same but somehow the duck wasn’t very tender. I’m wondering if it’s because I used a frozen duck or whether I didn’t cook it long enough. Oh well…I will have to try again. Maybe I’ll give this recipe a shot! Also, I sooo want this cookbook. Do you ship to Kuching? Using fresh versus frozen duck does make a huge difference. Try this recipe with a fresh bird and see how it turns out. Good luck! Being American-born and raised, I have to admit I didn’t always like Asian food as a child, nor could I always embrace my Asian roots. This cookbook is a great way to celebrate not only our Asian origins, but also to pay homage to the Asian-American experience. This book looks incredibly interesting, I would love to win this book! I’m not sure where you live but I’ve actually had good luck find fresh duck at Asian markets. There are also mail order sources but may be a little pricey. Fantastic post, as usual. I love duck, and Teochew braised duck is definitely a favourite. Thank you for sharing the recipe. The book is a brilliant concept, and I cannot wait to try out the recipes. This looks so delicious! Can’t wait to try it! Wonderful! Thank you for the opportunity! This dish brings back memories of eating Teochew food in Ipoh. The Teochew Braised Duck was one of the dishes that we always ordered. I would love to win the The Asian Grandmother’s Cookbook to try out the rest of the recipes in there. Mmmmm Duck. Never had this style, is the skin crispy? This is probably the easiest duck recipe you’ll find–perfect for duck novices! This looks so good–will have to try for my next dinner party. Thanks! I’d love to get a copy of the book. This reminds me of my one and only time in KL and the duck we had for dinner. There used to be this restaurant in KL, about one or two blocks from Bintang Warisan Hotel, which serves really good Malaysian-Chinese food. I could not remember the name of the restaurant since it was ten years ago since I was there. 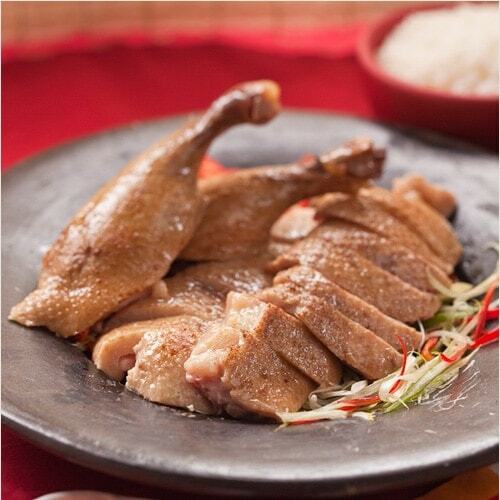 Anyway, some of their specialties include steamed freshwater goby – Hongkong style and this braised duck. The duck was stewed slowly, I was told, in a clay pot for hours until the meat is so tender it falls off the bones. The sauce was brown, thick, gelatinous and really flavorful. It was sweet, a bit tangy and had a hint of star anise and cinnamon. Servers would come to the table with scissors to cut up the duck for easier serving (much like the Koreans would with their noodles). The bones are so “tender” that those cheap kitchen scissors are able to cut through it. I remember most of the servers were Indonesians. Our host was Malaysian and he kept complaining that he had a hard time communicating with them. So I’m not really sure if the dish was Malaysian, Indonesian or even Thai since the Thais also have what they call “pet palo” or braised duck (don’t know if I got the name right). Anyway, I’ll definitely try this recipe for nostalgic and culinary reasons. The front-page photo is really making my mouth water. We tend to get Braised Goose rather than Braised Duck in the Teochew restaurants back in Singapore. Wow – it would make my Christmas to win this beautiful book and try out all the Asian recipes on my friends and family with Asian cuisine being my favourite. Thanks! Duck recipes are always welcome, and this one sounds delicious. Your recipes look amazing! Thanks for sharing so many wonderful recipes! I would LOVE a copy of that book! My paternal ancestors come from Teochew, and I was privileged to be able to visit there a couple of Spring Festivals ago. I honestly think some of the BEST food comes out of that area! This would be a great addition to my collection – none of which are Asian even though I am! Looks very yummy. Brings back memories of buying Lor Ack and hard boiled eggs and eating it with steamed rice. Thank you very much for the recipe. Grandmother recipes are always the best, full-proof & no short-cuts. Reminds me of my grandmother & what I learned in her kitchen. What a great idea to compile their recipes! I agree with you but they do have shortcuts, especially when adapting to new ingredients and techniques here in the U.S.! How true! It’s evolved into a new generation of recipes & tastes. Exciting isn’t it! would this recipe work well with chicken,too? I am curently watching my cholesterol but I will definitely cook this using duck for my family and my in-laws this holiday season. THANK you sooo much for the recipe and would love to enter your give-away! I haven’t tried it with chicken but I don’t see why it wouldn’t work. Just pay attention to cooking times because chicken has both white and dark meat. If you try it, let me know how it goes! This looks fabulous! I’ve never had duck before. Thank you for all your wonderful recipes! Hi! Just found your site, and would love to win this cookbook! Thanks! I’m with you on the dark meat! Luckily I was the only one in my family growing up who felt this way, so I never got stuck with the white meat and never had to fight for the dark. Would love a copy of the book for more recipes like this! Yay, another dark meat aficionado! I have lost more grandmother recipes on my blog, do check them out! this would be an amazing book to have! I used to eat lor ark /duck rice every night for dinner when I was working in Singapore. I must have done that for over a period of 3 years. Anyhow, the stall owner decided that she needed to spend more time with her family/husband, so she closed the stall down. I was very very disappointed. I would love to try out the recipe, as soon as I can find a shop that sells proper duck not the fatty sort. Ahh,yes braised duck to perfection and a great recipe indeed. I smiled when you mentioned “Uncle at the nearby hawker to give you the best duck.” This brought back the fondest memories of shopping at the market in it’s purest form while in Southeast Asia. Thank you for sharing this recipe. I had lots of “uncles” and “aunties” who knew me very well at the hawker center near my house when I was growing up (Chomp Chomp in Serangoon Gardens if anyone knows it). Wow. Easiest duck recipe I’ve ever seen and it looks awesome. hehehehehe…..cheeky me……i’m asian alrite, malaysian to be specific but not good at cooking, only good at oggling anything related to food. always read blog quietly until i see this freebie, cannot tahan so must leave a comment to try my luck in getting it. happy blogging, rasa malaysia. keep up the good work, hope one day i have a blog that is as good as yours, maybe can link-link. ;-) cheers! Wow, this recipe looks pretty straightforward! I think I need to find a duck and try this! i’m crossing my fingers for this one! i have my own asian grandmother who makes amazing food, but unfortunately none of her recipes are translated into English for me. You should definitely try to get them translated. These recipes are worth more than gold! 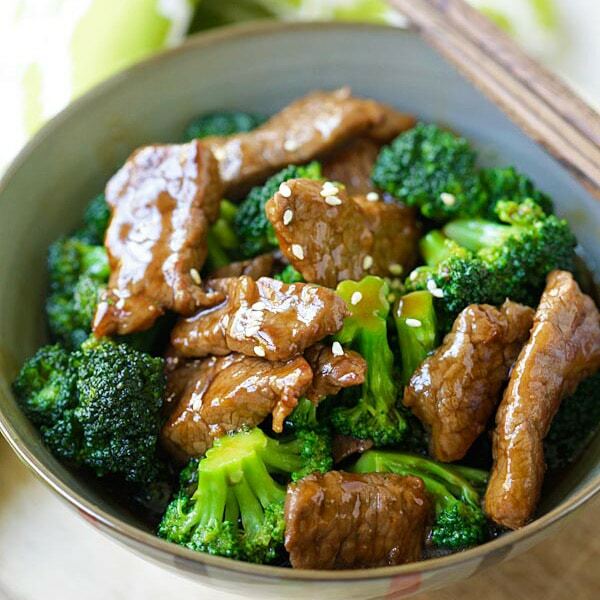 Your recipes make asian cuisine so simple yet delicious! I tried your cashew chicken recipe today for a Christmas potluck (you are so right about how baking soda tenderizes meat! ), and people couldn’t stop raving about it! I referred them to your website, and I must thank you for sharing your unique insights, as it made tonight’s meal so wonderfully delicious for all of us! Wow…this dish looks beautiful. Love both of you websites, Im a big fan. This type of sauce (soy sauce, peppercorns, cinnamon, cloves, star anise) is my favorite for duck, pork, hard-boiled eggs! I would love to have this cookbook! Are there more Teochew recipes in there? I am Teochew, and would love to know which dishes I eat at home are actually authentic! I can’t wait to try this recipe. I’m sad to say that the duck is the only Teochew recipe in there. But I believe Bee has several on her site. Wow! I came here with the intention of entering the contest but now I’ve got a recipe idea to try for this weekend! That chili-lime sauce sounds great! Thanks for offering this book giveaway. Also hoping you will share a ban chiang kuih recipe one of these days. I would love to make this recipe for my grandma. Our family is teochew but I was never able to pick up the language. I hope making this for her will make up for it! I love braised duck, can’t wait to try this receipe. It’s really good with braised peanuts and porridge. OMG I love this recipe with fresh & fluffy jasmin rice. I am learning to cook and the details of the ingredients help me tremendously. I will definitely use this recipe again till I master it. Thank you Rasa for the recipe. Keep up the good work and continue blogging. Yummy – Duck has always been a favorite Christmas meal for my family. Will definitely be trying this one out! The Grandmother’s cookbook looks awesome even just by looking at the front cover. I am sure the recipes inside are just as mouth-watering as well. My family loves Lor Ark and also the dark gravy from cooking it…the kids love to mix it with their rice…so appetizing. Thanks for sharing the Lor Ark recipe, will try it out soon. Hope I will be lucky to have the cookbook as well. Cheers! sorry guys i ‘m winning this book. Wow the duck looks great! About the dark soy sauce, is it caramel sauce or the less viscous, saltier one? It’s not the one you use as a dip for chicken rice. It’s the less viscous, saltier sauce used in cooking. Thanks! Have to try this out soon! I love lor ack. Used to eat it with orh peng (yam rice). I saw duck today at the supermarket and was thinking of roasting it as usual. Why didn’t I think of braising it? I’ll have to find a recipe for yam rice to go with the duck dish now! thanks for your amazing recipe.My husband love it so much til he can finish half of the duck by himself.thank you so much for sharing this wonderful recipe.. This dish is certainly going to bring back memories of my grandma :-) Thank you! Lor ark is definitely one of my favourite dishes to go with teochew mueh. Well, with so many recipes to venture, I think I can barely catch up until I pension from my work and go into full swing cooking. Thanks for all the wonderful recipes. Thank you for all your great recipes and this great opportunity! Thanks! What a lovely book! Makes me miss my grandmother, who was a fabulous cook. I’ve recently found your wonderful website! :) I love your recipes, they make me wish I’m home! :) I would love to win this cookbook! This is a beautiful book! I have checked it out from the library and would love to have a copy for myself to share with my kids. Inspiring recipes and lovely stories of all the Grandmothers & Aunties. AND it brought me to this wonderful blog! It’s often said the last part to be assimilated is the pantry of the immigrants. However, who can say the “Asian American Kitchen” is not part of American heritage? With all the food cultures and recipes the immigrants bring them to America, America is one of the best place to explore and experiment all different cuisine. Growing up in a small corner of Asia, I was thrilled to “discover” so many ingredients of Asian origins I had never come across before coming to the States. I believe this book is trying to sum up this experience. I’m with you there. I grew up in Singapore to Indonesian parents and was exposed to various ingredients and cuisines but it wasn’t until coming to the U.S. that I actually learned about ingredients and cuisine from Vietnam, Thailand, Cambodia, etc. Here’s to exploring the thread/web that connects our Asian culture and heritage! duck — YUM. would love to win a copy of the book! this sounds awesome! Mmmm, this looks so delicious. Cookbook caught my eye at the library — want to try every single thing in it!!! Great variety!! What a great website, thanks for sharing your knowledge with us. Wow the duck looks awesome! Very different from the crispy duck that I’m used to seeing in Chinatown. Ive been looking for a recipe like this! especially since I cant find this style of duck in Rochester. Looks like I’m going to have to add another book to my buy list. I had only had duck prepared like the French, in orange sauce. So I just figured I didn’t like duck at all. Until I fell in love with my now American born Chinese wife. I now know for a fact I love duck! Our son who is almost 4 also loves the skin! I made points with my wife’s Po-Po for asking her to teach me how to cook some thing, any thing she wanted to share. When I show up for a Joong party (the Chinese tamale) around the Autumn Moon festival. Her mother announces than Jay can wrap them by hand because he learned from her mother proudly! All the old ladies turned to see how I did.LOL Now I wrap and my sweet heart ties them. I can’t wait to try this :) I always have success with the recipes you post! Thanks again! p.s. I’d Love to win this book! I’ve been looking for a good Chinese cookbook recently and this sounds perfect. Thanks so much for offering this chance!!! recipes from asian grandmothers. would love to have that! What a great recipe! And what a fantastic giveaway – thank you! I’ve been eyeing her cookbook for a while now and would love to get my hands on all those yummy recipes! Thanks for your comments on the cookbook. Saw it on Amazon and now will buy it, if I don’t win. Thanks also, for all the recipes you share. I’ve made several, all successful and all outstanding! This recipe sounds delicious! Duck is positively one of my favorite foods. :) Thanks for spotlighting this wonderful dish. i’ve been following her blog for a while and am well excited to see this in print! Oh my, this sounds wonderful! I can imagine how succulent it is! I love duck – I don’t cook it often enough! I will have to try this duck recipe, looks amazing! Good luck to all on the cookbook! Thank you for saving grandma’s recipes. We are losing too many of them along with their history. I really enjoyed the recipes, esp those from Malyasia and Singspore. As an ex-Pat I do wish we have better resturants that serve the qualify M’sai and S’pore food. Love and thanks for all the wonderful recipes. Hope to win the cookbook! Merry Christmas to all. Thank you for all the Grandmothers and Mothers in the world. Without them, the world would a bland and boring place. We might end up eating instant noodles everyday if not for them. looks good, as does the cook book. Oh my gosh! I love duck… this looks like the duck I had at Raymond’s market! I am from Singapore who’s now working in the U.S. and yes, I can’t find anywhere that you would get a whole duck for US$5! Ok, maybe a fresh one from the market? Haha. I have been experimenting on different dishes while being away from home and it’s been so fun. I can’t wait to get a full kitchen of my own… right now, just have to make do with recipes and ingredient “substitution” guides from google. =) So glad I stumbled upon your website – lots of food I like. I got one question, how come so many Teochew recipes compiled, how about the rest? Like Foochow, Hakka, Cantonese etc…..is it because the rest doesn’t cook as much as Teocher, I’m curious about this since very young…or just no one document/ compiled the rest from their grandma, maybe. I have visited your site many times and this is the first time I am writing a comment. I understand there are few types of duck. “Chai ark”, 1/2 “chai ark” and “huan ark”. So which type is best to use for this recipe. Is there any diff? I would like to win the cookbook. My grandma is hokkien..wld you happen to hv the recipe for Plum sauce duck? She is too old to remember now. What’s peppercorns? Our hokkien Lo Ack opt d peppercorns & lemon grass and add 5 spice poweder instead..
Having Peking Duck for Christmas, but, this recipe will probably motivate me to purchase the cited cookbook-But, the lime sauce? 8 Tablespoons of lime juice, no sweetner, one would have to have a cast iron stomach to eat that – no??? Having Peking Duck for Christmas, but, this recipe will probably motivate me to purchase the cited cookbook-But, the lime sauce? 8 Tablespoons of lime juice, no sweetner, one would have to have a cast iron stomach to eat that – no??? uess I don’t wn the cookboor, but that was not my purpose. Great site!! This looks fantastic! Thanks so much! That looks delicious! I definitely have got to try to make it! is the book going to be available at the bookstores? would love to get a copy!!! Oh I love braised duck. Not very many people make it at home these days. It’s been a couple of years since I’ve had any so this definitely comes in handy. Now I’m totally wanting duck! Thanks! LOL! I would love to win that book! Duck is one of my favorite foods ever… I grew up eating Peking roast duck, yum! There is something about the crispy skin, thin layer of fat, and juicy, tender meat that makes the duck irresistible!! Beautiful, beautiful photo! And awesome giveaway. I actually don’t have this cookbook in my collection. It would be awesome to win a copy of it. Love your recipes and great pictures. Will try it for Christmas. Winning the book would be an added bonus. I just discovered your site a couple weeks ago and am enjoying it very much! Thanks! Love to have a copy of your book to my collection because it remind me to my late grandmother who was a Nyonya too. I missed her nyonya cooking like Ayam Buah Kaluak for over 20 years because we cant buy any buah kaluak in Sarawak.Some of her recipies past to my mother but she is 70 years old now and cannot remember the ingredient very well. But with your recipes, my family love my cooking. I never knew my asian grandmothers, but love to cook mainly old school Chinese foods, learn through taste and sight and my parents and all my wonderful cookbooks. This recipe seems doable :) I have never tried to cook a duck… but after reading through the steps, I feel that I can do this. It’s hard for me to find fresh galangal.. do you think I can use a frozen or powder one? I would love to have a copy of this cookbook! As a 4th generation Chinese American, it would be a treasure to have authentic recipes that my great-great-grandmother (& others’) might have made! If you want to find out the best Teochew Lo Ack, try it in Pulau Ketam. A Teochew populated island. Where you find the authentic teochew ack. really succulent and sumptuous. I had eaten hundreds of birds of teochew ack everywhere but Pulau Ketam home cook is still the best of best. oh yummm… duck dishes are so under-rated! Where can I buy duck in the US? I wanna win the cookbook! Oooh, count me as being interested in a copy! Hello! I’d love a copy of the cookbook. It is exactly the style of book I adore. Fingers crossed! Just love your website ! i am malaysian currently residing in the Netherlands, will definitely try some of your Nonya recipes and I love Nonya food. Would love to try the recipes from the book. This looks like an excellent cookbook will definitely check it out. Btw I had recently came back from Penang and had the chow kuey teow you had recommended at Lorong Selamat. IT was the BEST! Thanks for the recommendation. This recipe sounds delicious. Grandmas are awesome! I would love to win this cookbook! Never had braised duck, but reading this recipe got my mouth watering! The duck looks amazing!! I didn’t realize how similar Teochew is to Hokkien. We pronounce the word for ‘duck’ the same. Teow Chew Lor sure is a singanature dish of the Teow Chews. This recipe brings back memories of the Teow Chew duck prepared at special occasions by the landlady I rented a room from when I was working out of town. Like the Teow Chew duck recipe, I am sure the Asian grandmother’s cookbook will bring back lots of fond memories and an eagerness to try our favourite recipes. For those who do not cook, I am sure the recipes are temptingly delicious enough to make you want to hunt for the places who serve these dishes. I’ve watched my grandmother cook my whole life and have tried to record all the little tricks, tips and hints that made her food taste so good. I love how this recipe originally used a rice bowl as a measure, as my grandmother (and now myself) would use a Chinese teacup or the cradle of her thumb as a measurement. This cookbook filled with home recipes from the kitchens of Asian grandmothers is a wonderful idea. I would love be included in a chance to win a copy. I love Teochiew cuisine. Thank you for sharing this recipe! Love your website! Great book also. I briefly skimmed at the bookstore. What a great way to celebrate family traditions via The Asian Grandmothers Cookbook! Hmm…. Grandmother’s cookbook, sounds so interesting & full of yummy dishes! This is absolutely perfect for this time of the year–I’m hoping to entice a niece whose culinary skills are famed in our family to bring your Teochew Braised Duck to life for Christmas potluck. 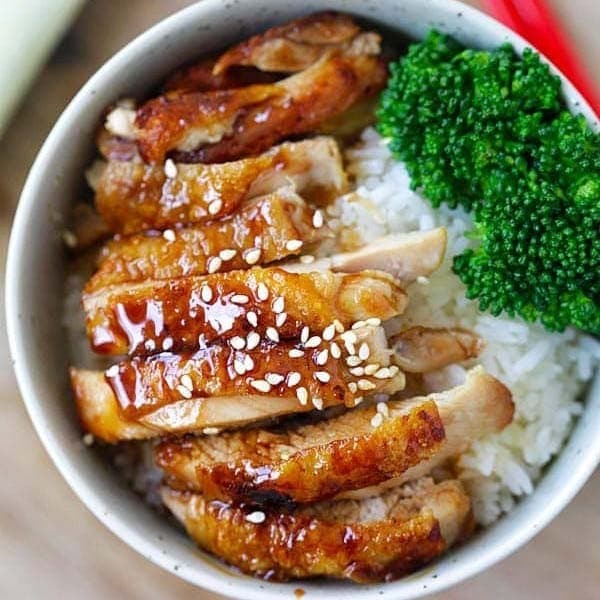 One or two of your fans asked if this would work for chicken—with minor tweaks to ingredients and timing, it’s more than doable: an early Ken Hom cookbook had an almost identical recipe for Soy Sauce chicken. Exposing my ignorance here, I’d like to know what galangal is as I don’t recall it in Ken’s recipe. As it’s to be smashed, I’m guessing it’s a form of ginger root. At any rate, Pat, thanks for the great piece! It’s available both fresh and dried at Asian markets here in the U.S. but I prefer fresh. I hope your niece will be convinced! I’m not Asian but considering the fact that my favorite foods in the world all fall under the category headers listed at the top of this Web site, I probably should have been born so. Would LOVE to add this book to my cookbook library. Aloha. AHH. Looks so yummy. I want the cookbook!! I would love the opportunity to win your cookbook. My grandmother passed away years ago and I was still learning to cook “grandmothers cooking”. I try to make things like she did and love to hear my dad say “just like Ma use to make it”. Happy holidays. This would be a great xmas gift for myself! Wow, that book looks impressive. Hope to win and try some of the recipes. this is exactly what my stomach is calling for right now. i love the combo of flavors and that dipping sauce – whoa. excellent. when can you come over?! Wow, the duck looks amazing! Can’t wait to try making it myself. :) I would love to win that cookbook too, thanks for the opportunity! I had no idea there’s lemongrass in a Teochew braised duck. I can’t wait to try this recipe! My mouth is watering after reading this recipe. I hope I win! I need a lil’ Asian persuasion in my kitchen! And who would have figured, my baby is a meat eater..he wants this duck! And I want this book! Yum! Everytime I visit this large Oriental market in Tampa, FL I look forward to buying the duck. Thank you for the recipe. I’ve never tried to cook duck, but might just try it during the Holidays. I have been waiting to check this book out since I heard of it. I do hope I win it, so I won’t have to look for it int he library. My father is Teochew and although I have not had this dish, or at least I cannot remember ever eating it, I would love to try it out. Pat, kudos to you for getting all the grandmas and aunties to share their precious recipes with you. This recipe looks great! I’m thinking I might try it as part of our Christmas lunch, since we don’t eat duck all the time it is something special for Christmas. And I love the fact that people are writing cookbooks like these and documenting all that wonderful cooking heritage that our mothers and grandmothers have learnt from their mothers. It’s so important that we document this rich heritage before it’s gone! Helo Pat…and everyone who is reading….. I got a question previously on how come more Teochew recipes around but not the rest of the Chinese group like Foochow, Hakka, Cantonese etc…is it because Teochew are better cook? Anyone got answer to this? I’m curious to find out why…that’s all. 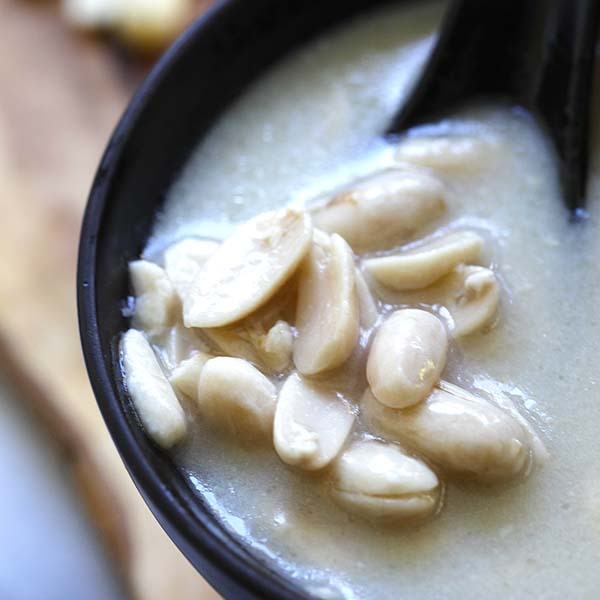 Wow, love to try this recipe soon – looks so good and I am thinking of Teochew porridge to go with this dish. Yum! wonderful dish and recipe. i love lo ack!!! Thanks for the recipe. My MIL loves braised duck. Can’t wait to cook it for her and also all the other recipes. As a Malaysian living in Italy, I craaaaaave for Msian food every time I arrive at this site. And one of the dishes I crave for the most is this duck dish that my aunt used to cook. Im not sure what exactly she used, but it looked like it had preserved black beans in it. OMG divine. And whenever I see duck at the supermarket here, I wished I knew how to cook it. Maybe I’ll give this a try. Hope I get the book, it will help me greatly in my quest to reproduce some authentic Asian food. I’ve been in South Africa for the past 3 years now, and your website has helped me figure out how to satisfy my craving for authentic Asian food–by cooking my own food rather than rely on the the Westernized sweet and sour pork or egg foo yung the locals make! Thanks! your cook book look very nice x am I the luck ones to have it . ariel lee: I think differently -I’m of Teochew descent (mainly) but find Teochew recipes to be lacking in general. I’ve been searching for more cookbooks that focus on this little known cuisine -I suppose in South East Asia, it may be better known due to the large Teochew migrations (namely Singapore, Thailand, etc). Also, the exposure of a cuisine does not necessarily mean the respective cooks are better. Ya, that’s what i thought so, somehow i don’t find that many Teochew in Malaysia except maybe in Penang because the rest of the country’s Chinese are mostly Hakka if I’m not wrong. As for Foochow they are minority really but sad to say to see not many recipes from grandma’s are handed down to their next generation and it is really difficult to find one authenthic one. I’m a Foochow by the way, that’s why the curiousity. Last but not least, I wish I can have this book and love to try out the recipes !! I was never a duck eater, but thats going to change as I am trying this recipe. Can you suggest an asian drink (preferably) or a wine to pair it with? Nothing’s better than fond memories from childhood, especially about food! The chili-lime dipping sauce sounds especially good. Can’t wait to try the recipe. Looks fabulous and delicious. This maybe the Sg version Lor Ark but what I missed most is my late Mother’s version of typical Penang Teochew Lor Ark. All the ingredients are the same except you missed out the most important “5 spice powder”. Also, my late Mother used to rub the salt and 5 spice powder in/outside of the whole duck and then all the spices (all those galangal, lemongrass, cloves, star anise, cinnamon sticks, black peppercorn and whole smashed garlic)has to be put into the duck’s cavity. Then, she caramelized some sugar in the hot wok and seared the whole duck before she added in the water and dark soy sauce (the rest of cooking steps are the same) for simmering until done . According to my late Mother, this whole process will make the Lor Ark more succulent, aromatic and super delicious! How I missed my late Mother and her Lor Ark! Ya, I am gonna make one this weekend for my family. Cloves are a type of spice. Not garlic clove. The winner is Keri Arima. Congrats to Keri! And thanks Bee for organizing the giveaway. browse thru to get recipes ideas. Patricia, I’d love to win your cookbook. Everything that I’ve tried has been ‘spot on’ delish!, Lo Ack is next. What a wonderful way to combine the asian culinary arts in a single book. Are you in the SF Bay area to do a booktalk/demo? I tried this recipe, but it was a bit salty for my taste. Lucky me, my family like it and the dipping sauce made a great difference. I think with another round of practice, I can make it better with sugar? I have a sweet tooth. HI all, I see this recipe being shared on several other websites & blogs. I tried this recipe but I think there’s something wrong with it, so halfway through I threw out the sauce and changed recipe. It is definitely way too salty and not as sweet as it should be. I even wondered if the salt should be 2 tsp instead of 2 Tbsp as is instructed in this recipe!!! o_o I have never cooked anything else that requires 2 Tbsp of salt for this amount of food/liquids. In most other recipes that I come across, the salt is only 1 tsp or to taste. And the sugar is more, 2 to 3 Tbsp. Other recipes also use less star anise (like maybe 2 or 3) and cinnamon (1 stick). When I tried this recipe it turned out a bit bigger, I wonder if it’s too much star anise & cinnamon. Most other recipes also don’t use lemongrass, so this seems like an abberation. Yanny, this recipe is not my recipe, but a recipe from a cookbook. You can reach out to the author if you have problem with the recipe. btw, how to get in touch with that person? can kindly share ah? not to complaint but to ask about something. Braised duck is really delicious but must not be too salty. The dark colour gravy can be use to boil “lo chai” a type of vegetable for about an hour under a small heat flame till it is soft, very delicious. My whole family love it, however this vegetable is not so available anywhere in any markets. Only market in Chinatown sell it, must be early to purchase as demand exceed supply. Please try or you will missed out this fabulous dish. Remember only braised duck gravy can give the best original taste. Teochew elders should know, it’s basically a Teochew originated dish. YUMMY YUMMY! Wah this one best! i especially like the lemon grass in place of orange peel. nice nice very nice! so, how would you “adjust” the ingredients/technique for the duck of your childhood ?? Hi. Can cook half of the duck?